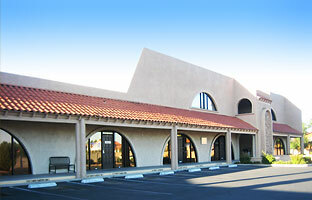 Virtual Offices Las Vegas facilities are centrally located, just West from the world-famous Las Vegas strip. A short ride from the Palms and the Rio hotels on West Flamingo Road and minutes from the TI hotel and Fashion Show Mall, Virtual Offices Las Vegas offers a full-service office environment virtually and physically. There is Private Office space available by the hour or day and fully-equipped Meeting Room with seating for 12; high-speed internet access; fax and copy machine; lounge and free parking. Virtual Offices Las Vegas offers you an impressive arena for many professional purposes. This virtual office center is designed for image, convenience and business efficiency. Calls answered Automatically;up to 7 ext. Calls answered Automatically; up to 7 ext. The auto-attendant answers all client company calls; furthermore, the auto-attendant provides up to 7 dialing options to external phone number(s). In addition, clients receive unlimited long-distance in the U.S. continental. All voicemail messages can be emailed to you with the system deleting the original message; as a result, theres no calling into the Auto-Attendant to delete old voicemails. Pay Setup & 5 months service fees; Get 6th month FREE! This package is ideal for the startup and small businesses that wants to project a professional image with low overhead. Start-ups can rev up their business without signing a long-term commitment with this package. The package includes use of the address for your business mailings and courier items. Use the professional business address for all your marketing collateral. Virtual Offices Las Vegas is registered with the USPS as CMRA. Proper completion of United States Postal Service Form 1583 required. This package is mail service only. Only additional charges involved are applicable mail forwarding charges. Free mail pick up available only during office hours. No long-term contract. Initial term is 3 calendar months then converts to a month-to-month. You may upgrade your account at any time when your business needs change. When it’s time to give your business a new voice and take it to the next level, this package with phone answering and business address services can help your business grow. This package includes mail service. Additional charges apply for applicable mail forwarding charges. Free mail pick up available only during office hours. Unlimited messages via .wav files to email. *Domestic calls to the 48 continental United States of America included. International calling rates apply on a country by country basis for all minutes. This package includes live answering of calls and business mailing address. When your business is ready for live answering service, forward your business number to us and we’ll answer your calls. Receive a local telephone and have your calls answered Monday to Friday 9 am to 5 pm local time by US-based staff versed on your company. 100 live answered calls and standard message taking included. Electronic messaging only. Unlimited messages via auto-attendant through .wav files to email. Live answered calls are calculated by number/volume not minutes. This package is ideal for the company wishing to project a larger professional image — with premium live answering and a business address — all with low overhead. Receive a local telephone and have your calls answered, screened and transfer Monday to Friday 9 am to 5 pm local time by US-based staff versed on your company. 100 live answered calls included. Screening, forwarding and electronic messaging included.